In 2016 I worked on an extensive interactive project about South Sudan, on behalf of Amref and teaming up with Gabriel Pacheco, one of the most amazing artists and illustrators worldwide, and Ensoul, with the graphic supervision of Andrea Venier (Dree) and some pictures by Andreea Campeanu. 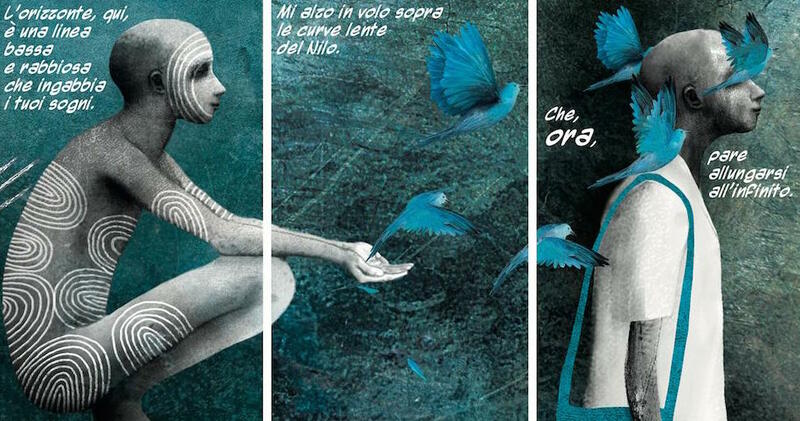 The results were published by Corriere della Sera/La Lettura on July 31st, with a two-page graphic novel and a web reportage with a 3D version of the story and a reading by Ludovico Fremont. The project is called Home/Hope, and you can explore it here.